There might not be alligators in New York City’s sewers, but there are large populations of wild animals in the U.S. that were once pets. There might not be alligators in New York City’s sewers, but there are large populations of wild animals in the U.S. that were once pets. 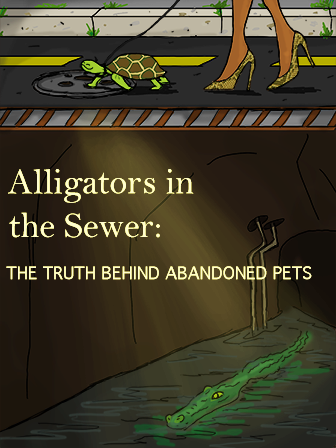 Like the alligator story, the pets were released by irresponsible owners and went on to find niches in new ecosystems. But even in these cases where the pets survive, the environment can suffer the consequences of new invading species. This text will be best used in classes tackling issues concerning human impact on the environment, and the threat of invasive species.